Kelly Anderson launched her company, 185 Promotions and Apparel, in 2015. She’s already expanding. On Feb. 1, the promotional items company held a grand-opening ceremony at its new location, 501 Industrial Dr., in Carmel. 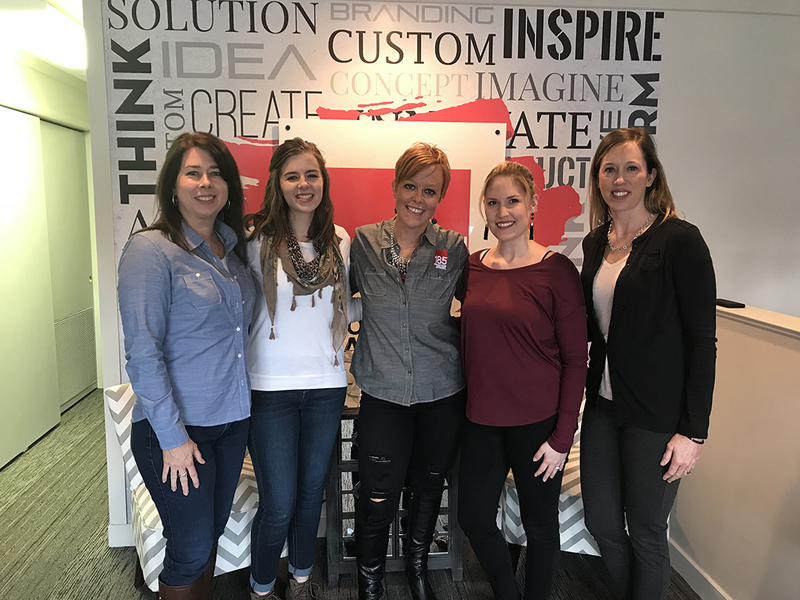 A company that began with only two women now employs six. Anderson said she wants to hire more. “We are looking to grow staff and looking to grow clientele. This allows more meeting space for clientele to come in and talk to us because we spent a lot of time going to them,” she said. Yet, the rooms aren’t furnished with traditional office space but rather bean bag chairs and sectional sofas. Anderson said although she considered adding more tables with a corporate feel, she decided to go with a more more laid-back feel. At approximately 2,000 square feet, the new location is nearly double the size of the previous one. Anderson and her team didn’t have to move far. The old site is across the street. The company moved at the end of the year but took a month to get settled in. According to a press release from Anderson, her revenue has already grown by 40 percent since the company’s founding. During the grand opening, attendees toured the new space with its décor colors of black, white and Pantone #185 Red, the company’s signature color and namesake. For more, visit 185 Promotions and Apparel on Facebook.